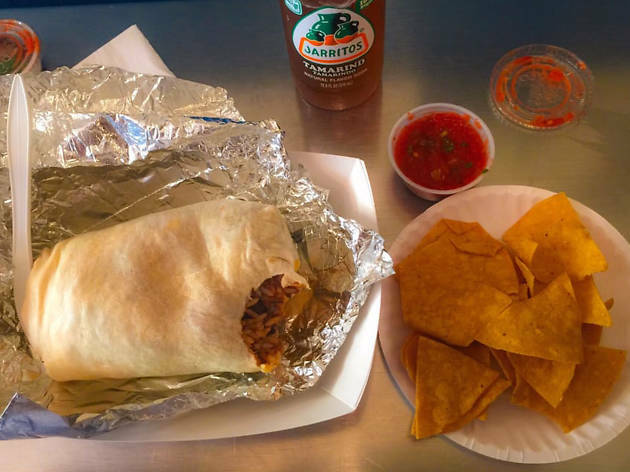 For late-night cravings or lunch-break munchies, the best burritos in NYC are the belly-stuffing cheap eats of our dreams. 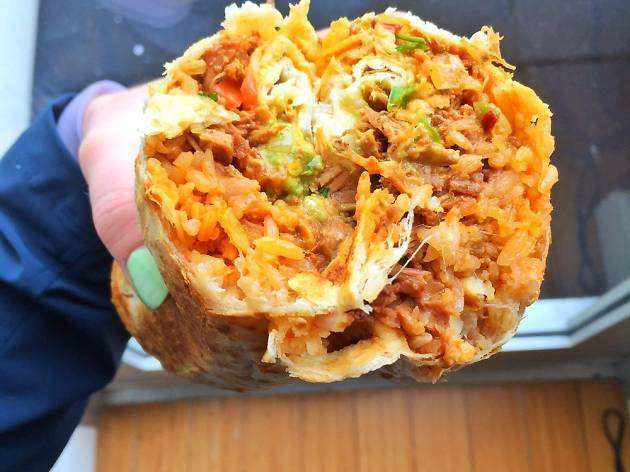 Head to sit-down Mexican restaurants or a casual takeout joint to devour the city’s top burritos, filled with savory meat, veggies and spiced rice rolled in a soft tortilla wrap. 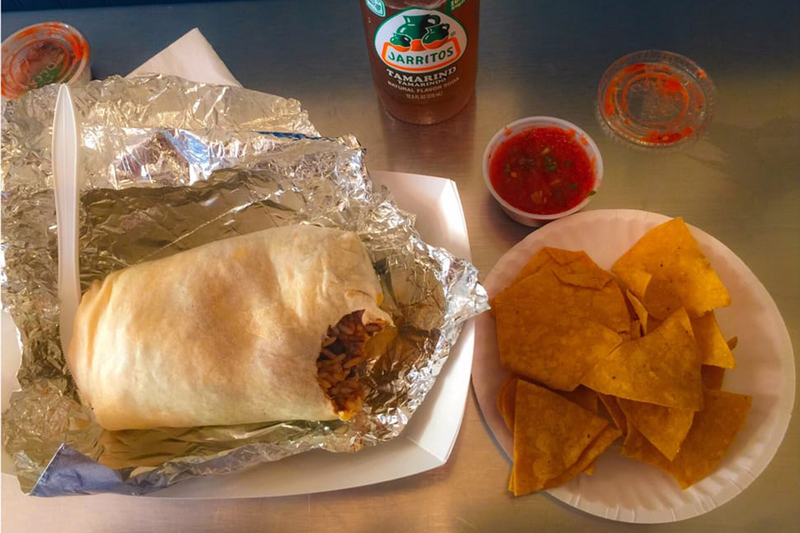 And yes, you always want to add guacamole to that. The proof is in the pudding, or in this case, it’s in the name. 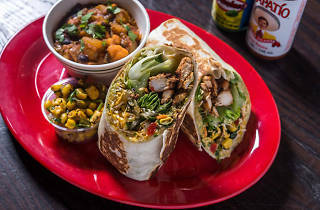 As a restaurant dedicated solely to our cherished tubular wraps, the burritos at this casual spot come in more than a dozen different varieties, including grilled steak, chili con carne and chicken (grilled, BBQ, mole and ranchero), along with vegetarian options like grilled tofu and vegan chili. 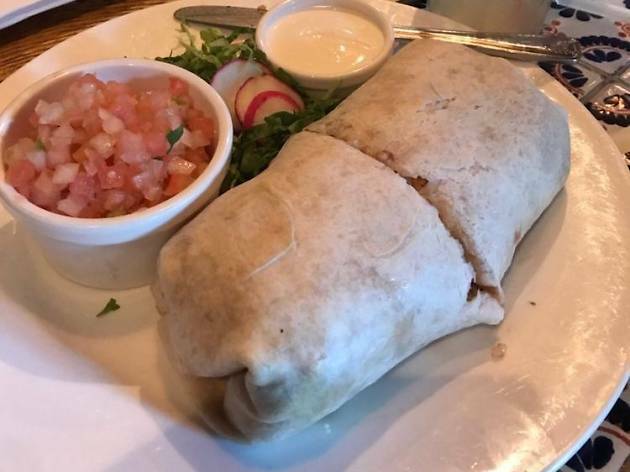 Each burrito comes with rice, black beans, pico de gallo, lettuce, cheese and sour cream rolled up in a 12-inch flour tortilla. 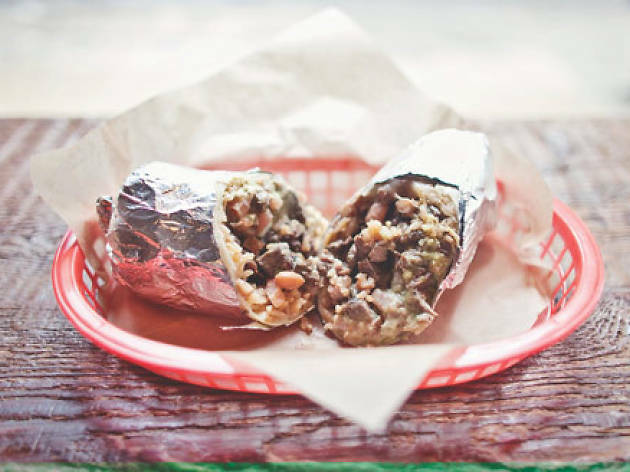 Brothers Leo and Oliver Kremer bring their winning take on Cal-Mex grub all over the city with a growing number of spin-offs. 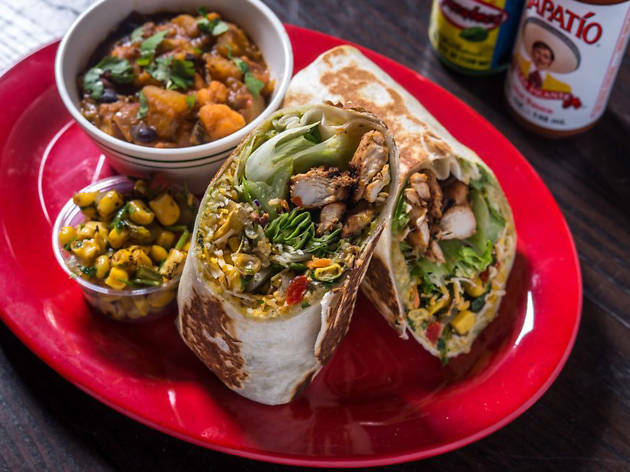 You'll find the same short menu of simple bites made with primo ingredients, like local, antibiotic-free chicken and Cayuga Pure Organics pinto beans. 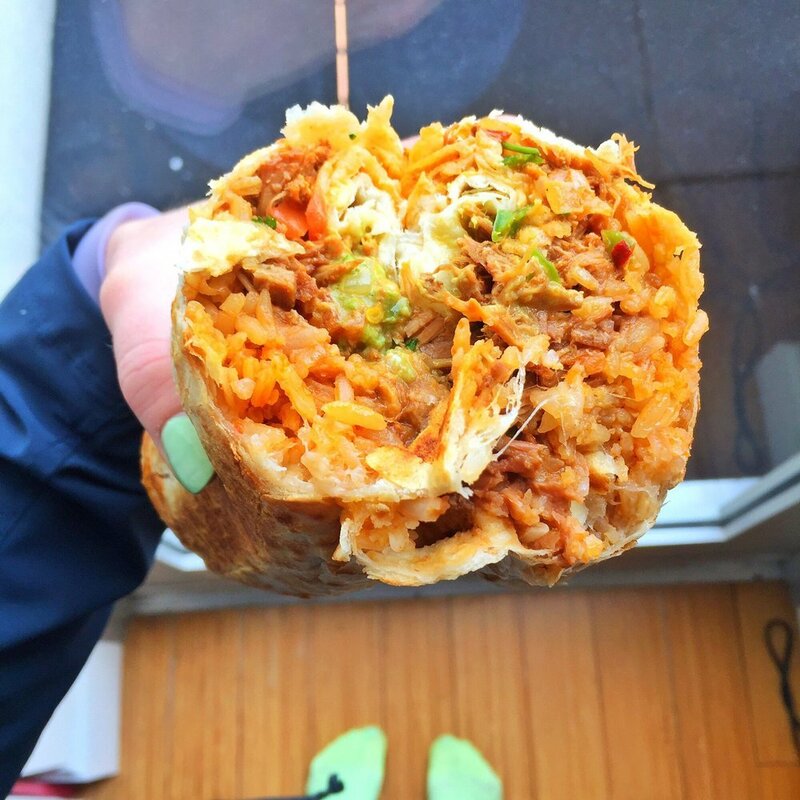 Plug your protein of choice (carnitas, pollo asado, carne asada or mixed vegetables) into an overstuffed San Francisco–style burrito brimming with pico de gallo. 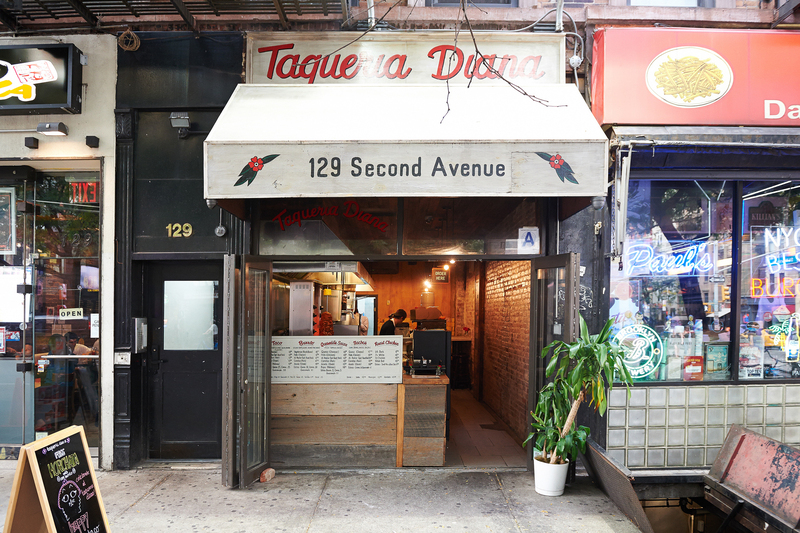 At this narrow takeout taqueria, owner Matthew La Rue (the Meatball Shop) shaves off quivering, yielding bites of blistered, spit-roasted pork for his al pastor taco and burrito, the latter stacked in a flour tortilla with rice, beans, salsa and optional dollops of smooth guacamole, cheese or crema. 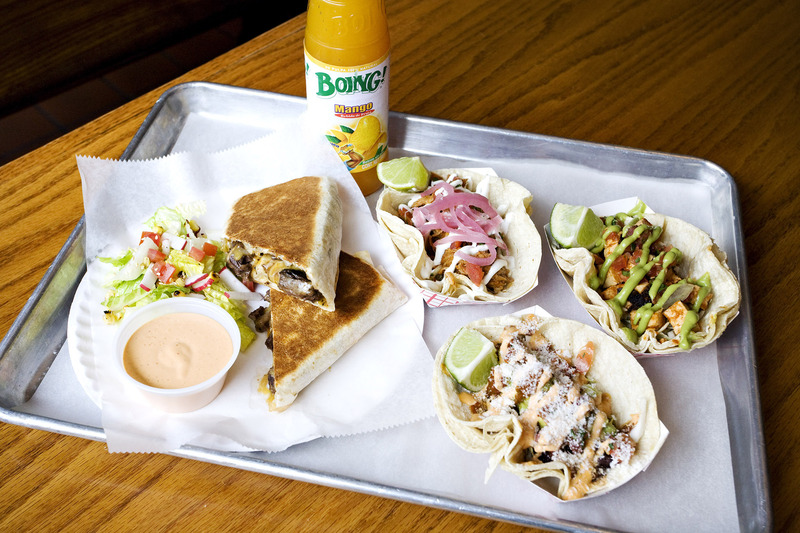 The brothers behind the Cal-Mex street-cart phenom, opened their second brick-and-mortar location in Greenpoint. 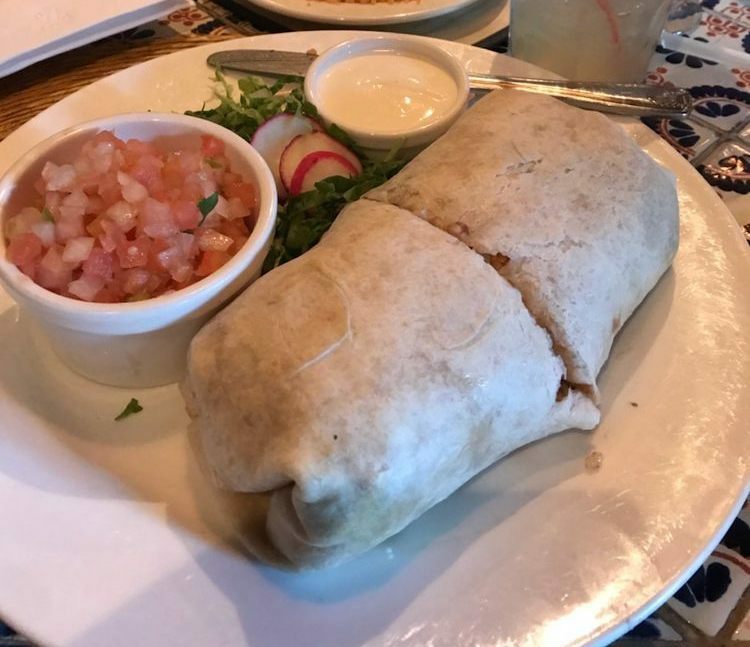 At the Brooklyn location, you can throw back a stiff drink alongside your “wet” (red or green enchilada sauce, Monterey Jack cheese, sour cream) or dry carne asada or beer-battered Baja fish burrito. 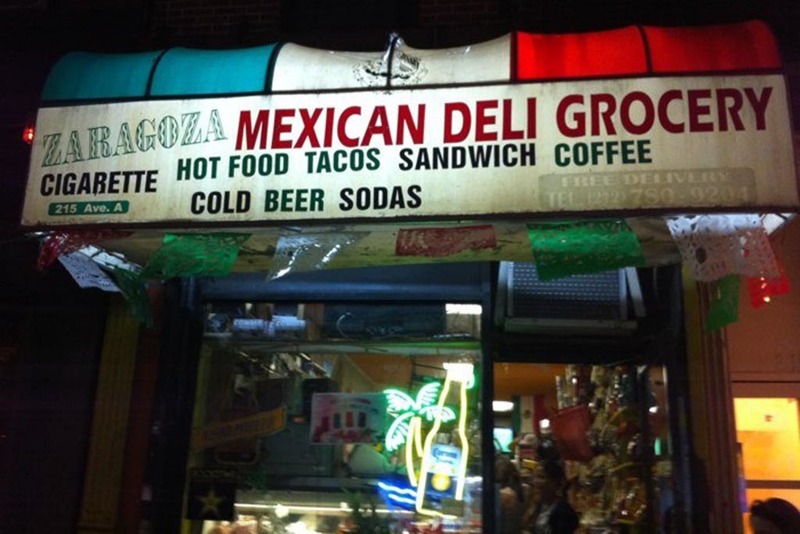 For years, Alphabet City has been home to a substantial population of Latin American immigrants, and many of them do their grocery shopping at this well-stocked Mexican bodega. 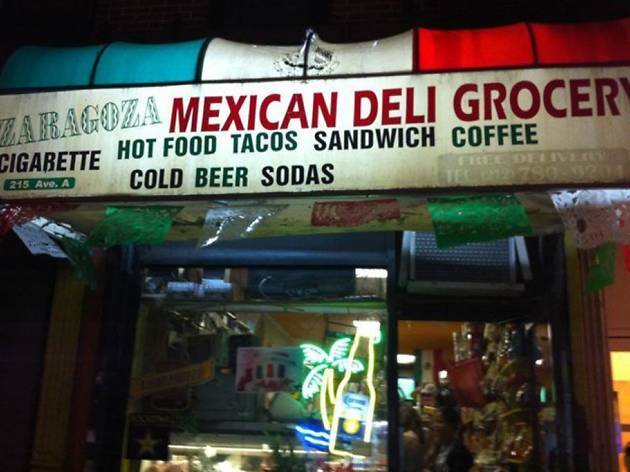 If your hunger is more imminent, check out Zaragoza’s prepared food counter, serving ingredient-crammed burritos, which are decorated like a Mexican flag with white cheese and red and green sauces, and stuffed with the usual combo of beans, lettuce, pico de gallo and sour cream, along with a rotating list of meats. 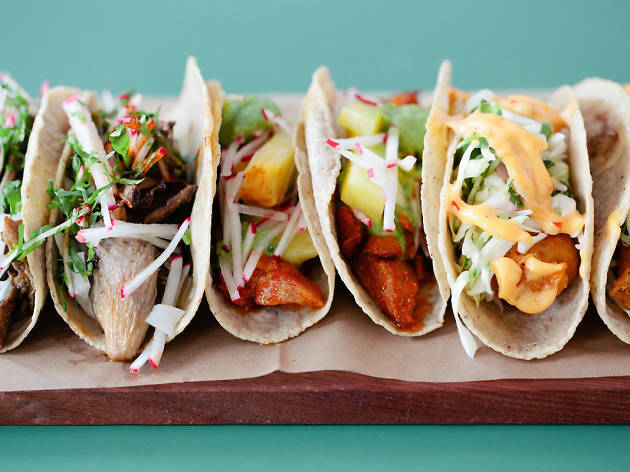 This upscale Mexican eatery and tequila bar offers a menu of standards like Mexico City–style tacos and super-fresh burritos packed with proteins like braised spicy pork and ground beef. 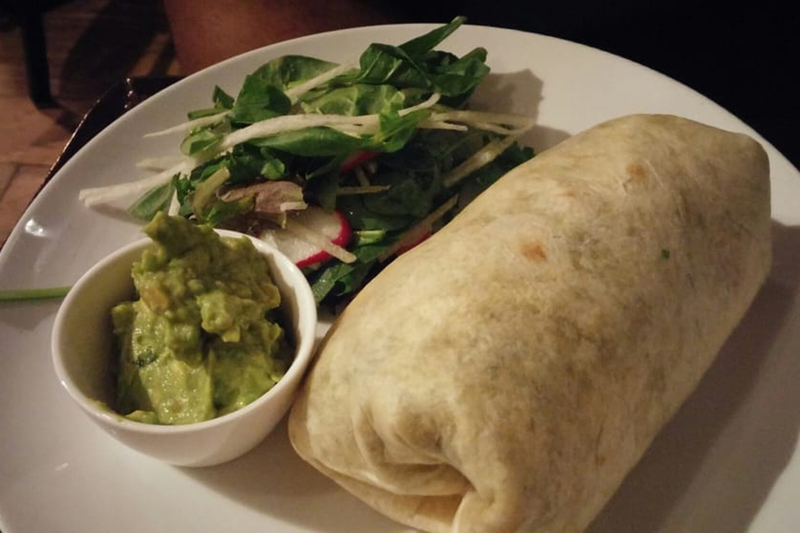 The wrap is so large, it will also be your lunch the next day. 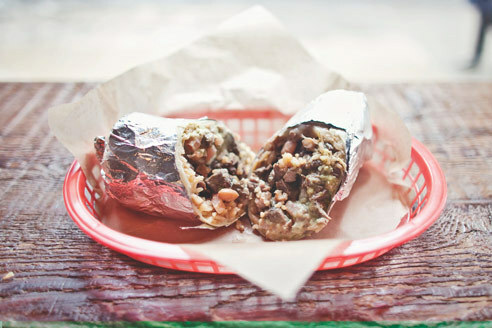 Take a bite out of San Francisco's Mission District, known for its authentic and downright delicious Mexican eats. 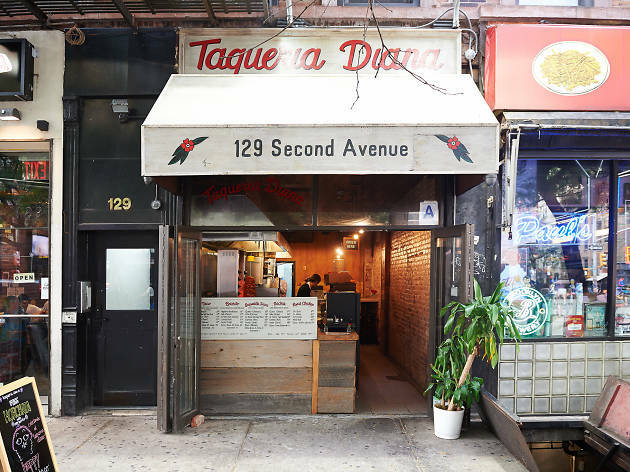 The owner opened the joint as an homage to his prior residence, hoping to relocate and serve the West Coast-style burritos with fresh avocado, Mexican rice, Monterey Jack cheese and crema in Clinton Hill. The restaurant even pads your order with complimentary chips and salsa. 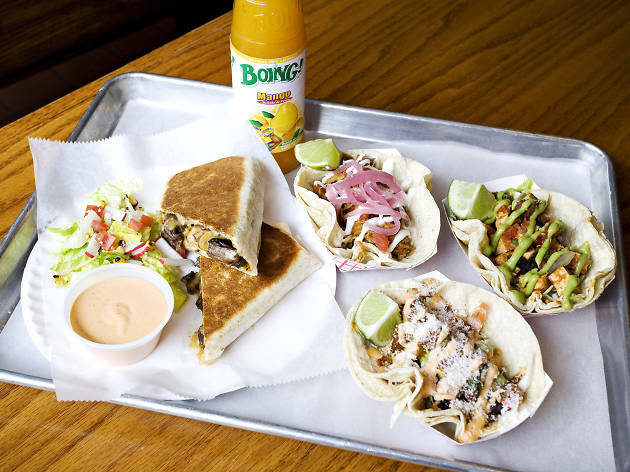 This Bushwick restaurant is determined to showcase every facet of Mexican cuisine, from popular ingredients, like avocados, to the lesser-known, like pumpkin. 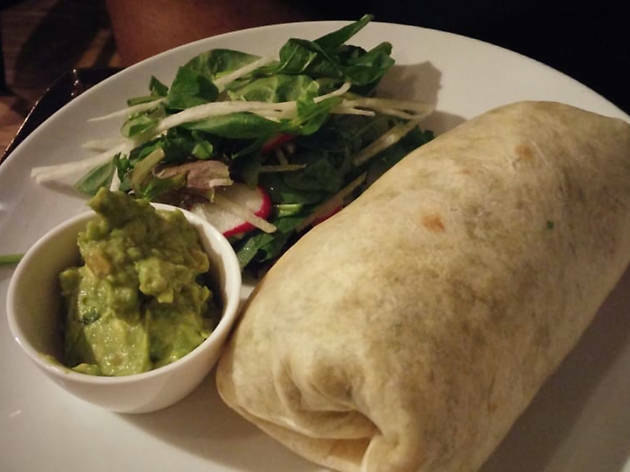 Lucky for us, that means its plated burritos are muy bueno, with a choice of filling (chicken, steak, chorizo, pork or vegetable) along with refried beans, spinach and corn in the tortilla, and a green salad on the side. 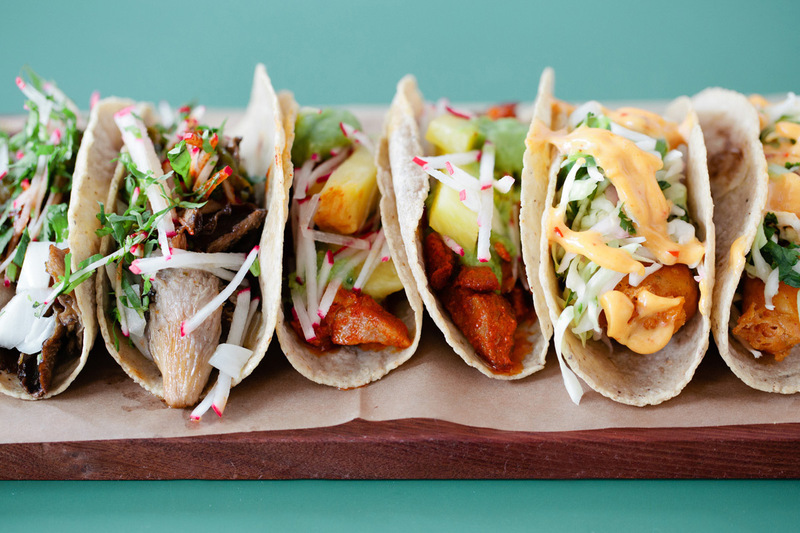 Heading out for Taco Tuesday?